Long before green cleaning became popular, Mary Findley dedicated her life to finding simple solutions to clean with natural cleaning products. Years of cleaning homes professionally and breathing toxic chemicals convinced Mary there had to be safe ways to clean a home for her sake and that of her clients. 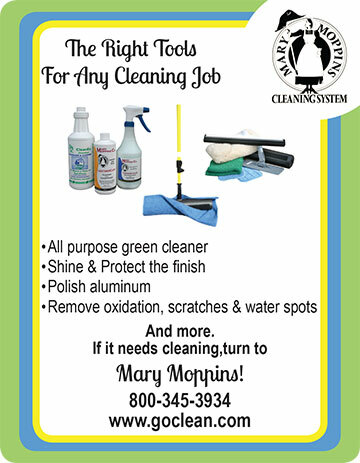 Determined to find all natural yet effective ways to clean, Mary set out to change the way the world views cleaning. Her earth friendly cleaning tips are loaded with helpful cleaning tips. She is a cleaning consultant to the RV industry and author of “The Complete Idiot’s Guide to Green Cleaning”. Her cleaning tips appear in magazines like Real Simple, This Old House and various RV magazines.